This is the 59th in a series of articles analyzing major companies traded on the tech-heavy Kosdaq market. -- Ed. 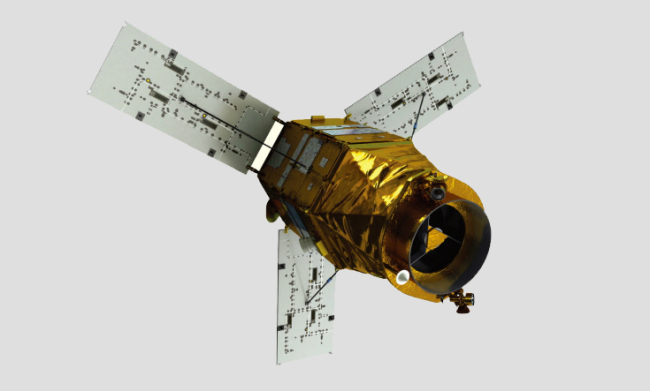 Asia Pacific Satellite, a communications satellite hardware manufacturer based in Seoul, has seen swift recovery following a plunge in the past few weeks. While the stock price has suffered a heavy fluctuation, analysts have said the future market performance of the manufacturer has a reason for an upsurge, on anticipation for an upcoming introduction of fifth-generational network here. Asia Pacific Satellite is the 489th-largest stock of some 1,200 stocks trading on the Kosdaq, with 124.3 billion won ($111.2 million) in market cap as of Friday. After falling to 6,700 won on July 2 following a downtrend since mid-June, the price of a stock rebounded to 8,280 won in Friday closing on the back of institutional buying. Over the past 20 trading days, Korean institutional investors net purchased a total 61,270 shares. It recorded a 52-week high at 9,290 won on March 7. Since a spinoff from Seoul-based Advanced Process Systems in 2011 and listed on Kosdaq in 2016, the company has provided satellite communications terminals including ones for machine-to-machine communication technology, as well as devices mounted on space satellites. Two-thirds of its revenue in 2017 came from sales from satellite communications terminal. The coming of the 5G network era, coupled with the arrival of the renewal period next year for terminals supplied to United Arab Emirates-based mobile satellite communications firm Thuraya, has drawn investor attention, Seo Choong-woo, an analyst at SK Securties, wrote in a recent note. Asia Pacific Satellite has been the sole terminal provider to Thuraya thanks to its price competitiveness. According to Seo, the exchange period for Thuraya terminals would come in 2019. Another selling point for its shares is the fact that the company is the only Korean developer of system-on-a-chip architecture that is applicable on terrestrial networks, in case an existing infrastructure for telecommunication becomes dysfunctional due to an emergency. On July 24, Asia Pacific Satellite won a bid for a 3.2 billion won state-led project by the Institute for Information & Communications Technology Promotion to develop a system-on-a-chip by 2020 applicable for disaster-hit areas. “Once the development of the system-on-a-chip is complete, it will become a big hit,” Seo wrote. In 2017, Asia Pacific Satellite logged 2.7 billion won annual operating profit, up 67.8 percent on-year, while its yearly revenue came to 30 billion won, up 20.7 percent on-year, according to a March disclosure revised in June. But in the first quarter of 2018, it recorded a 1.2 billion won operating loss, despite seeing a 66.4 percent rise in revenue. The company said the loss was a transient one caused by a one-off expenditure in the first quarter. Ryoo Jang-soo, chairman and chief executive at Asia Pacific Satellite, was formerly a researcher at the state-run Korea Aerospace Research Institute, before founding the company in 2002. Ryoo currently owns 21.5 percent of Asia Pacific Satellite.